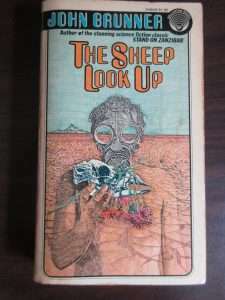 In John Brunner’s 1972 Book The Sheep Look Up, The world he envisioned is not unlike ours, plagued by overpopulation as well as environmental and political problems. His world has the start of common use of electric cars and people worried about what is in their foods. And he has a factious food store he calls ‘Puritan Health Supermarkets’. 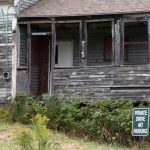 A counter culture resistance group does the math and realizes that more ‘organic’ food was being sold by Puritan Health Supermarkets than there is land remaining to grow organic food on. No ‘Whole foods’ is probably not the Mafia run scam that Puritan Health Supermarkets is in the book, and we are not totally out of land fit for organic farming, but an article in Washington Post outlines how close we are getting. The Post article outlines how “industrial vats that stand five stories high, batches of algae are carefully tended, kept warm and fed corn syrup.” to create an additive that put in Milk then the milk is sold as USDA organic. Makes you wonder about other things sold with the USDA Organic stamp on them. If you are interested in a good and prescient read, try John Brunner’s The Sheep Look Up. I call it a 4 star read. BTW – The picture is a picture of my paperback copy. Purchased in the 1970s for a cover of price $1.95. You can get it on Amazon for as little as $16 and up to just under $100 for a ‘as new’ copy (But there are e-book and reprints for less). But don’t take it too seriously —- None of that could happen in the real world – could it?